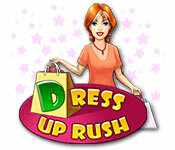 Dress Up Rush game download. 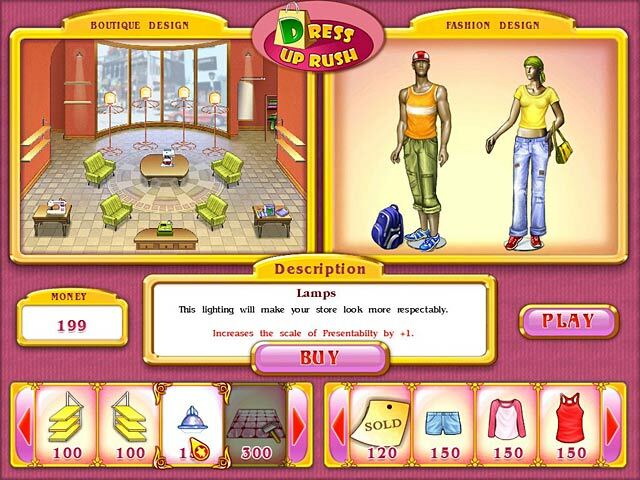 Free download Dress Up Rush for Mac. Jane is all set to start her new business! She's opening an awesome boutique and wants to make it more that just a clothing store. Help Jane turn her boutique into a magic world of fashion where customers can enjoy their coffee, read fashion magazines and listen to nice relaxing music while choosing clothes from the newest collections! There are tons of upgrades to help you make Jane's boutique a gigantic success! Build your fashion empire today with Dress Up Rush! Jane Steps Into The World Of Fashion! Many Different Clothes And Accessories! Choose What You Want To Sell!